For quick and easy Easter decorating or gift-giving, you need printable Easter crafts. FaveCrafts.com has a whole collection of free printable Easter crafts from manufacturers, designers and talented bloggers. You can save these printable Easter crafts until the last minute (the last minute being this Saturday night). Can you believe Easter is already here? 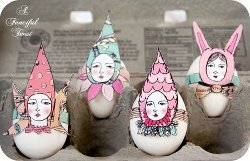 Here are my 10 favorite printable Easter crafts. Easter Egg Elfin Printable– Download and print these elfin patterns in black and white if you want to color them yourself, or print in color for less hassle and more fun. 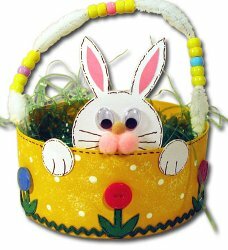 Bunny in a Basket– Free easter printables in this craft include the basket, bunny and flowers. Make this Easter bunny basket in a few spare minutes. Bright Ribbon and Paper Eggs– Just cut out the paper for these colorful eggs with the printable and supplement with ribbon. Felt Easter Favor Cone– A downloadable pattern makes these felt cones simple to create. Felt Bunny Candy Cone– Use this printable Easter craft to cut out a bunny shape from bright purple felt. This craft is great for kids! 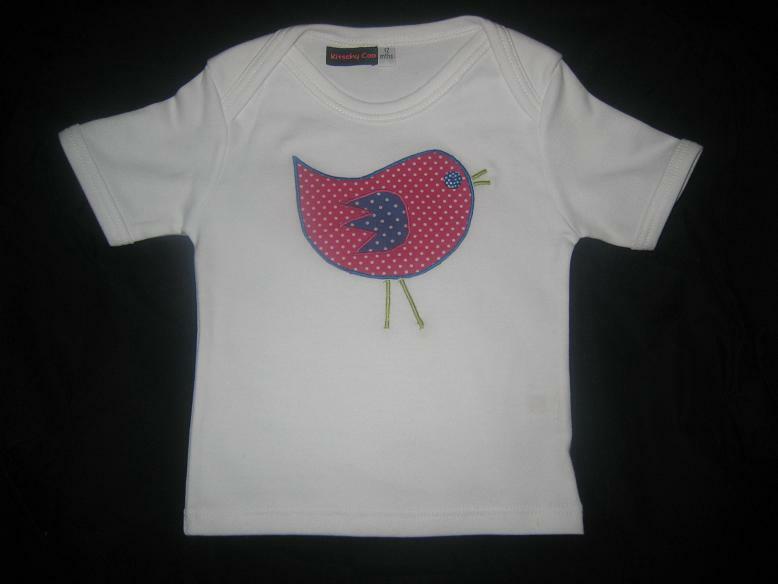 Easter Chick Appliqué Shirt– This wearable craft includes a great chick printable for making the appliqué. 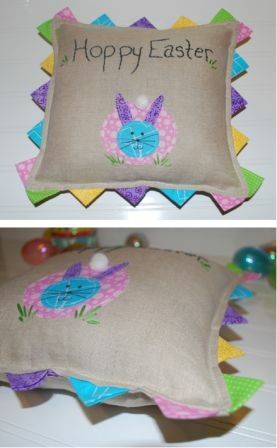 Easter Bunny Appliqué Pillow– This pillow craft include a bunny printable for making the appliqué. 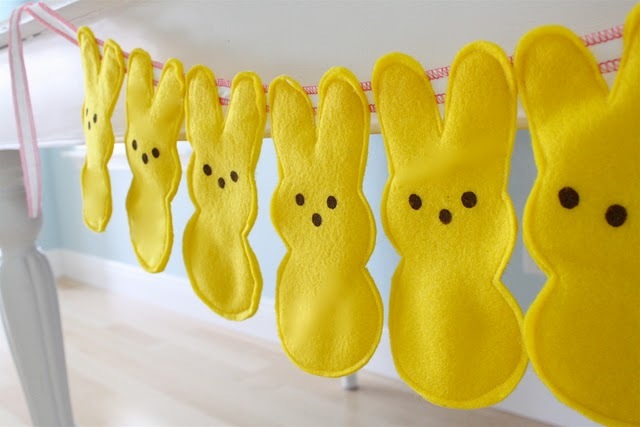 Bunny Peeps Bunting– The printable template for cutting out the bunny peeps is included in this Easter craft. 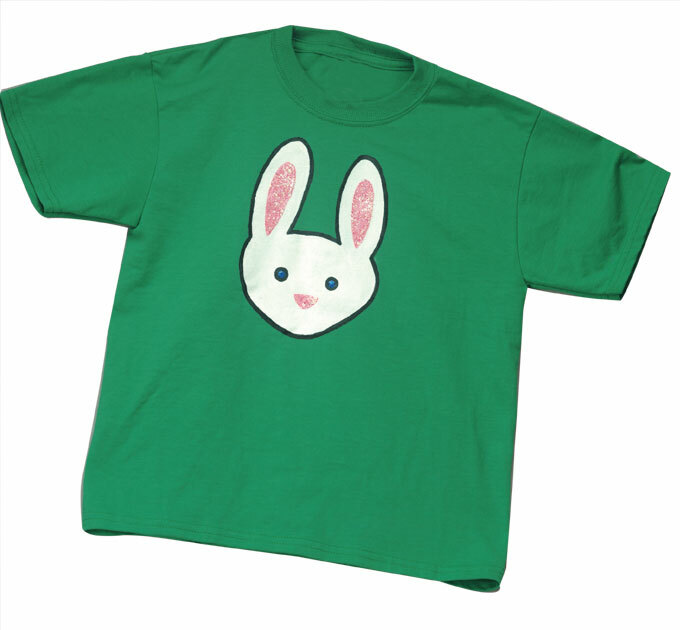 Bunny Shirt– Paint a cheerful Easter bunny on a shirt with this printable Easter craft. Easter Egg Hunt Invitation from Chica and Jo– These are the cutest printable invitations with optional, dimensional element. Easter is such a fun holiday for kids and the big day arrives April 4, 2010. Usually, there are mass quantities of chocolate and candy consumed on this day. With the caffeine and sugar-high that most youths experience, why not use this abundance of energy and give it an outlet? Take a fun project on for the day after hunting for all of those Easter eggs, of course! 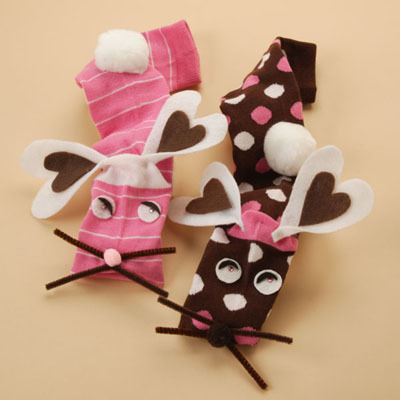 A really cute craft that I would even do myself (as a grown adult), would have to be making Bunny Socks Puppets . Puppets are a great way to interact with brothers, sisters, cousins, nieces, and nephews that might be over for the day. Both boys and girls can make their own versions using different colored and patterned socks, to their liking. Kids like to channel their inner artists, so why not let them! Every kid should have a project that feels like their personality is shining through it. This next craft of Easter Egg Window Clings does just that. Every egg that is painted and colored should end up being different from each other, just like snowflakes. Kids have their own identities, which can be showcased in their egg clings. Celebrate kids craft ideas and learn how to implement them with these projects. Make the Easter Bunny proud of you this year for all your hard work! As Easter quickly approaches, I’ve impulsively invited our new neighbors over for Easter brunch. With that in mind, I need some simple crafts for Easter table decorating. When I think of Easter, I think of two things: jelly beans and white lace. 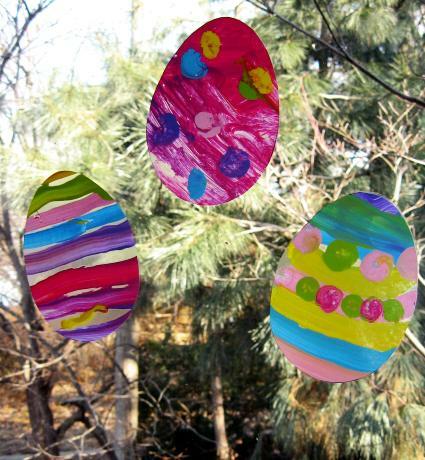 These materials are perfect for some simple crafts for Easter. Decoupage lace jars make for simple crafts for Easter. Cut the paper doily into small squares or use a craft punch to cut out lace shapes. Using a small paint brush, cover the mason jar with Mod Podge. Smooth the doily pieces onto the mason jar and cover with another layer of Mod Podge. If using squares or strips, you can cover the jar entirely. If using punched lace shapes, you can just apply a few shapes sporadically over the jar. Let dry for about 1/2 hour. Once dry, cut a circular piece of foam to fit in the bottom of the jar. Fill with jelly beans. Cut a wooden skewer so that the height is just above the mason jar. Write your guest’s name on the rectangular label and tape to the skewer. Stick the skewer into the foam. Voila! Doily Dishcloth– This doily is the perfect size for this project and very pretty! 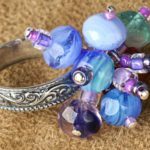 Pretty Doily– This open-work doily might be harder to stiffen later in the project, but will show more of the colorful jelly beans if you like that look. Once you’ve finished your doily, gather you other supplies. If you do not own a fabric stiffener product, make your own by mixing together equal parts white glue and water (the same recipe used in papier mache). You can also use wallpaper paste for a harder result. Invert your mason jar and wrap a layer of plastic wrap around the bottom, stretching over into the inside of the jar. Dunk your lace doily in the mixture, making sure to saturate the yarn. 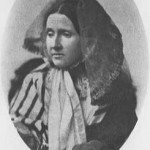 Use your fingers to wring excess glue from the doily. Wrap the doily around the inverted mason jar, smoothing down with your fingers. Secure with a rubber band and let dry overnight. Once dry, carefully remove the band, bowl and plastic wrap, in that order. Fill lace bowl with jelly bean candies. For more ideas for low-stress home decorating and entertaining this Easter , see 18 Simple Crafts for Easter. Looking for free Easter cards this season? With the return of spring, longer days and greener pastures, Easter presents the perfect opportunity to send cards. Raid your craft stash and find projects for free Easter cards all over the web. For instant inspiration, check out this collection of 9 Free Easter Cards at FaveCrafts. I mentioned on the premiere episode of FaveCrafts Radio that I have been taking the time lately to hand-write letters. I am sending letters to my friends and family on traditional stationary, trying to kindle this more romantic tradition in the age of instant-gratification emails. Eggs- Designs for free Easter cards are all about eggs, as a traditional symbol of new life. Colorful eggs recall the return of colorful flowers and leaves with spring. For something simple, cut your scrapbook paper or card stock into the shape of an egg. 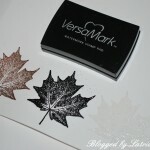 Decorate with pens, markers and stamps. Add a sentiment on the back. Cut out egg shapes from clear contact paper/shelf paper. Stick colorful ribbons stripes to the contact paper and adhere on your card. Felt is a wonderful material for colorful Easter eggs. 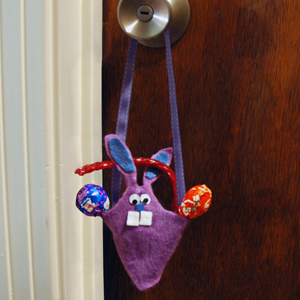 Try needle-felting different designs onto a felt Easter egg background. You can attach a loop or ribbon and send as an ornament with your note. You can also use die-cut flat Easter eggs if you have an electronic cutting machine. Stamps- To create a whole set of free Easter cards, find a spring-themed stamp in your stash or make your own with a large piece of rubber, potato or even a kitchen sponge. For potatoes and sponges, you can cut out a simple design such as a bunny or flower. You don’t even need ink! You can use beets (red), blueberries (blue) and ground turmeric (yellow) to create natural dyes. 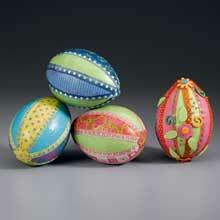 Try vegetables dyes for Easter eggs too. Wildflowers- Go on a nature walk and pick a few wildflowers. Press the flowers in a flower press and use the pressed flowers to decorate your stationary for Free Easter cards. If you do not own a flower press, sandwich the flower between sheets of plain white paper and then several layers of newspaper. Place inside of a large book and weigh down with heavy books on top. Press for several weeks. Needlework– If you have needles, thread and a spare piece of fabric or plastic canvas, you can create free Easter cards with needlework. Use cross-stitch or embroidery to create the needlework. Frame the needlework within the card, by cutting out an opening in front of card and gluing fabric to back front of card. Easter eggs, birds, bunnies, chicks and flowers are all great subjects. Religious Images– If you prefer to celebrate Easter as a religious holiday, you can decorate your card with a cross. For a colorful twist, make the cross like a mosaic collage with strips of leftover wrapping paper or craft paper. You can also use ribbon or iron-on threads to create a dimensional cross. Easter is on its way, it’s one of my favorite holidays. Every year we go to my aunt’s house for the greatest brunch ever. We have a french toast casserole, an egg casserole, hash browns, bacon, muffins, bagels, fresh fruit and so much more. Of course we have orange juice and mimosas as well. My aunt likes us all to have a great time, so she gets everyone their own Easter basket and hides them around the house. Instead of an Easter egg hunt we have an Easter basket hunt. It really makes for a great day. If you’re a crafty person and you’re trying to keep a low-budget then here’s a great way to make an Easter basket with green crafting. This is such an easy craft for you to put together. All you need to do is take the lid off the shoe box and cut the sides off. Try to be a little neat as the sides will be used for your handle. Once all the sides are off you can wrap it with construction paper, ribbon or any material you want. After the handle is decorated you staple it to the bottom part of the shoe box to create your basket. Get creative now with the outside of the box. You can again use construction paper, ribbon, stickers and glitter. Let your kids help you out with the decorating, they’ll have a blast. This is a great green crafting basket as all these materials are just lying around your house. Now for the really neat idea: instead of using the plastic green grass to fill the basket with you can use your garbage paper you’re about to throw out, put it through the shredder and create paper grass. How cool is that? You can use different shades of green paper or whatever paper you have lying around. When your basket is full of grass you can then add all the goodies and eggs. Green crafting for Easter baskets, you can’t get smarter than that! There is a great piece this morning on Crafting a Green World about ways to recycle your Easter trash and turn it into new projects. I like the idea of using paper boxes (like those that once housed giant chocolate bunnies) and following a tutorial for an old cereal box, like making a garland or a bookmark. 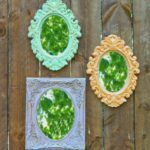 Over at FaveCrafts, we’ve got even more great ideas for crafting with recycled items, including an article with 10 ways to reuse trash and a great idea for your Easter table next year that utilizes old fruit cups. 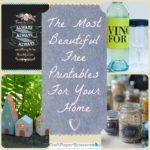 Check these and all our great green crafting ideas out at FaveCrafts! 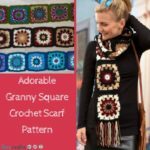 We are so excited to tell you all about our most recent eBook publication at FaveCrafts. With the wonderful contributions of some of our favorite craft bloggers, we have put together an Easter Craft eBook: Blogger Edition. Inside this eBook, you’ll find over 60 pages of Easter creativity with wonderful step-by-step photos. 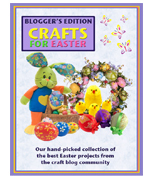 Get the FREE Easter Craft eBook: Blogger Edition today! If you are a blogger and interested in participating in an upcoming eBook or looking to featured at our website, contact us. It’s a blast! If you like this eBook, check out Hop into Spring: Easter Craft and Recipe eBook for over 150 pages of free Easter crafts and recipes. 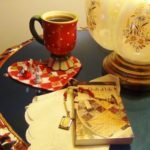 If you are intersted in hearing about other free eBooks, subscribe to our free Quick and Crafty newsletter. 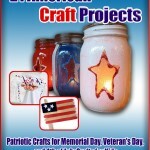 We deliver exclusive features, such as Crafting on a Budget: 60 Low-Cost Craft Projects exclusively to our subscribers. 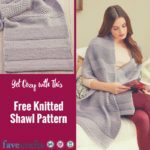 Visit FaveCrafts.com to subscribe. March is National Craft Month! It’s also a great excuse to break out some unfinished craft projects or start up a new craft that you’ve always been interested in. National Craft Month is also a great time to teach someone else a craft or to use your crafty talent for one of a number of amazing charities. And if you’re not a craft, there is no better time to start. If you need a little inspiration, we have some great projects over at FaveCrafts for the upcoming St. Patrick’s Day and Easter holidays. How are you going to celebrate National Craft Month?